This sauce is a great dipping sauce for any starters or with salads. 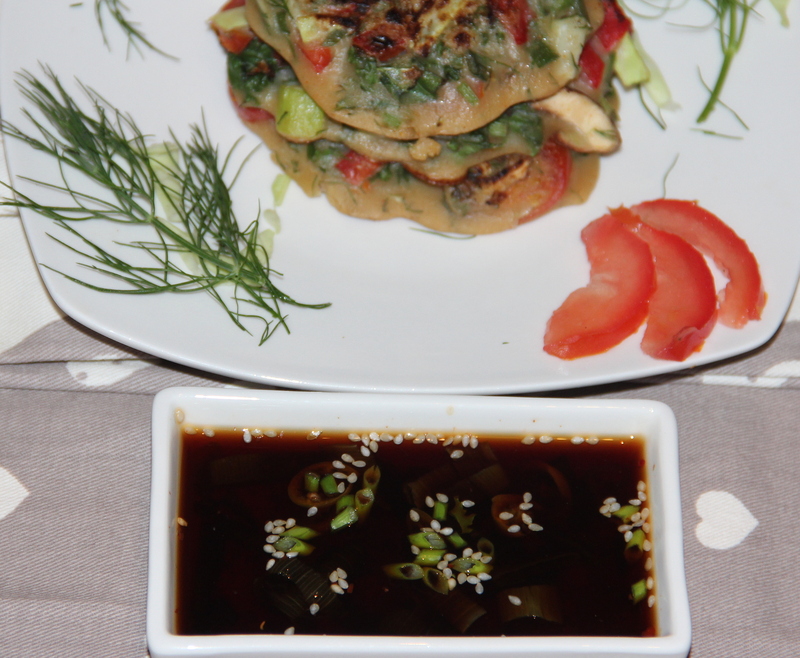 This sauce is terrific with spring rolls/dumplings and even in savoury pancakes (link). If you don’t wish raw flavour in your sauce, can just boil for 5-10minutes, cool and serve. Add all the ingredients to a lidded jar/ blender and shake/whizz well until combined. Transfer it to the bowl, top it with roasted sesame seeds. Posted on October 7, 2014, in Dips, International. Bookmark the permalink. 24 Comments. Looks like a great dipping sauce Chitra -sweet and sour and the ginger and peanut giving it additional flavor!